Introducing the popular boys 4-pocket patrol in a softer knitted fabric, designed for the younger male rider - keeping you comfortable and confident in the saddle. This breech is made with stretch fabric that is ideal for easy movement in the saddle. This breech also features a front zip with a hook and loop closure hidden by a metal button, belt loops, UltraGrip knee patches and our standard CS2 bottom. 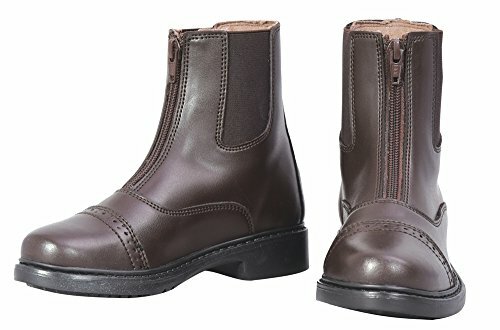 TuffRider Starter paddock boots offer a unique balance of all weather comfort and durability with affordable style. The comfortable soft faux leather is great for everything from riding to barn work. This front zip knee patch breech offers you easy care. The ribbed fabric is durable and ensures a perfect and comfortable fit. These breeches also feature belt loops and our patented UltraGripp knee patches that prevent bunching at the knee when you ride. Get your child ready to ride. These breeches are part of the active EquiStar EquiTuff Collection and are designed to provide a full range of motion with comfort and a terrific fit. The breeches are made of a ribbed cotton / spandex blend that provides a great fit, while remaining breathable. This all purpose, super soft riding tight is great when you need to keep cool on summer days or need a cozy liner on winter days. These schoolers feature a frolicking horse design on the waistband in matching colors, cuff bottoms and self-fabric knee patches. Featuring a classic four-pocket front zip, the Boys Patrol Light Jods are made with a soft, cool knitted fabric to ensure comfort. 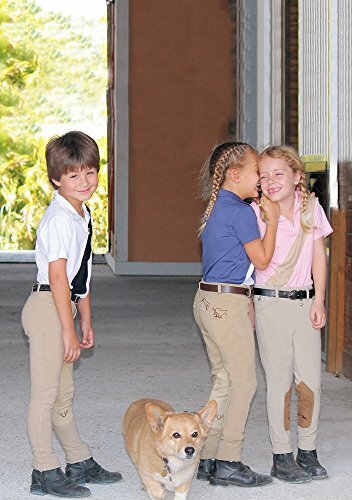 Available in classic light tan, these Jods are perfect for showing. Your perfect every day riding jods that feature a contemporary low rise with easy pull on styling. 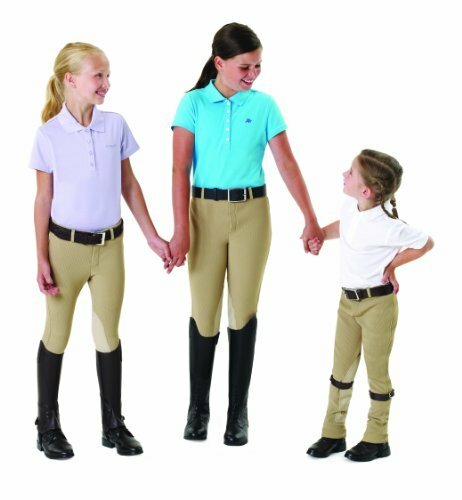 With many add-ons for the rider's convenience; UltraGrip knee patches, false fly, belt loops and Velcro ankle closures - these jods are comfortable and flattering to any form. This pull on Jod features a running and jumping horse embroidery across the back and UltraGripp imitation leather knee patches. Other features include low rise, false fly front and belt loops. First Horseback Riding Pants: Bring on the Breeches!